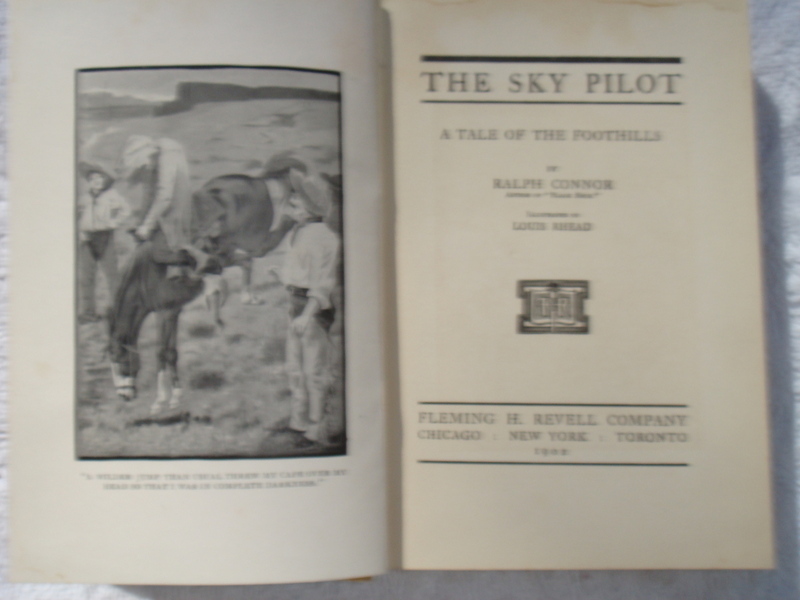 The Sky Pilot: A Tale of the Foothills by Ralph Connor, the pen name of Rev. Dr. Charles William Gordon, Canadian novelist. Copyright 1899. 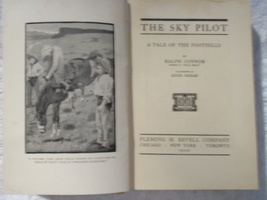 This is the original Fleming H. Revell Co. publication, publication date given as 1902. 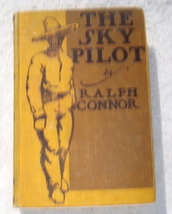 Dr. Gordon also wrote The Sky Pilot: In No Man's Land, which was reprinted by the Dodo Press in paperback in 2007, and Icon Press in 2010. 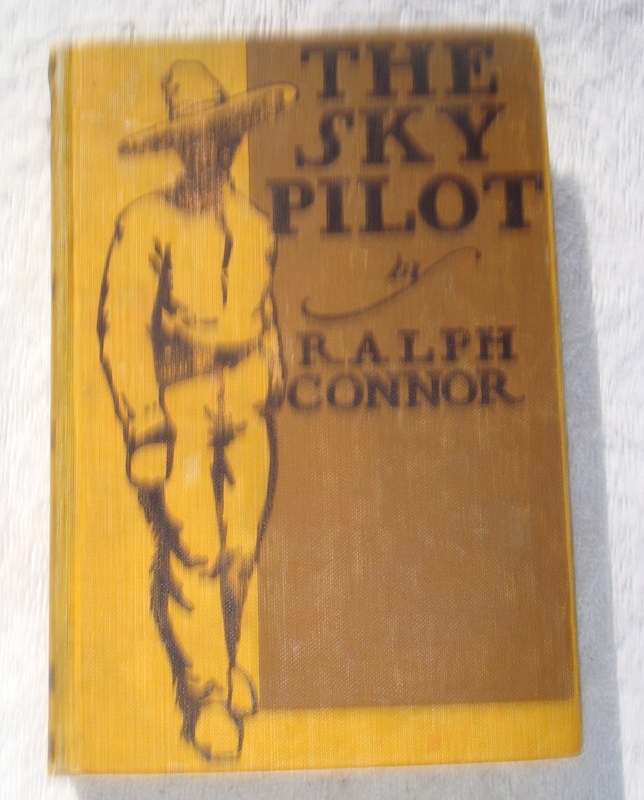 Allegorical western intended for all age groups at the time, but with language that may be considered more formal than current language use for present-day children and young adults. A great general vocabulary builder for teen-agers, though, and reading older literature should increase their SAT scores! Also, it's a thought-provoking book. 23 chapters, 300 pages. Glossy frontispiece illustration by Louis Rhead. 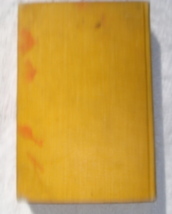 Picture printed on cover. Boards OK, but hinge is beginning to separate at inside top. 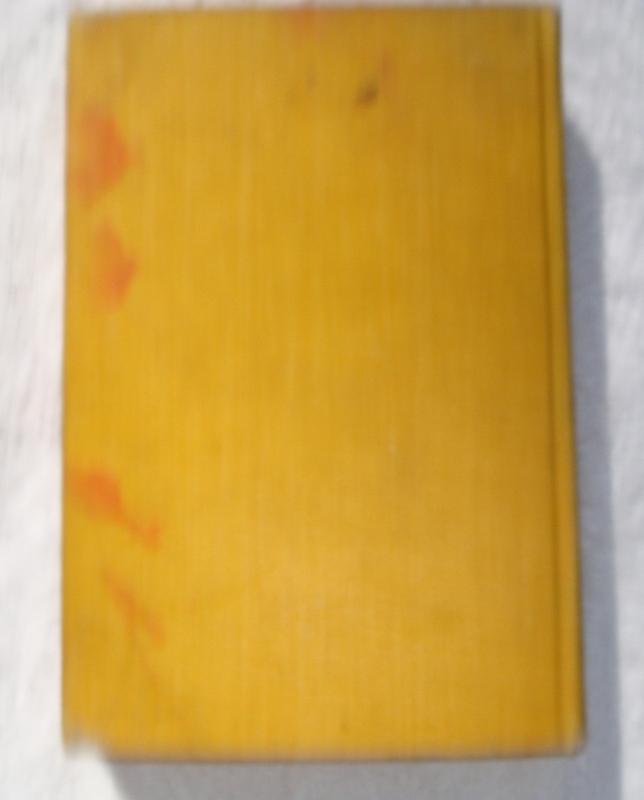 Thin spine track between pages 112 and 113. Stains (looks like something with red ink was next to it and ran a little. Note: Bad news for New York residents. An 8.75% sales tax needs to be added.